We are a long established non-profit Karate club run by volunteer instructors. 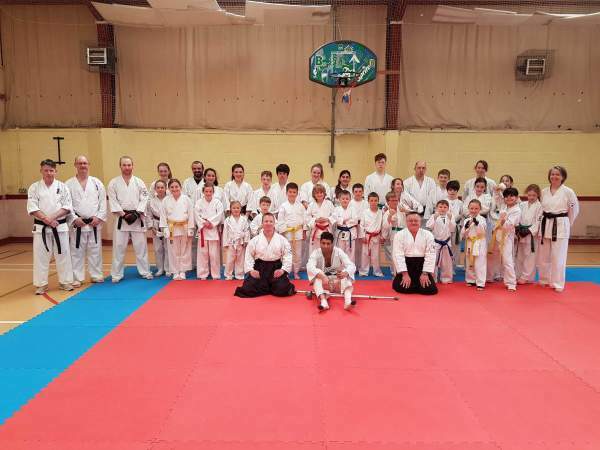 Originally founded and run by Shihan Robert Bridle in 1985, followed by Shihan Dave Jones through to 2015, the club is now run by Shihan Roger Nevens. We practise a high standard of karate and have a number of very experienced instructors. Our aim is to make karate accessible to, and enjoyable for, as many people as possible. We currently have three fully qualified, very experienced, full-time instructors . All are certified Karate Wales Level II coaches, have DBS clearance, and Martial Guard personal liability insurance. We also have a number of assistant instructors .